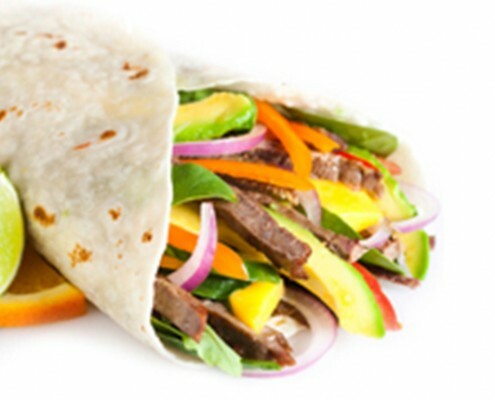 Tasty and healthful wraps with a teriyaki-fresh bite. 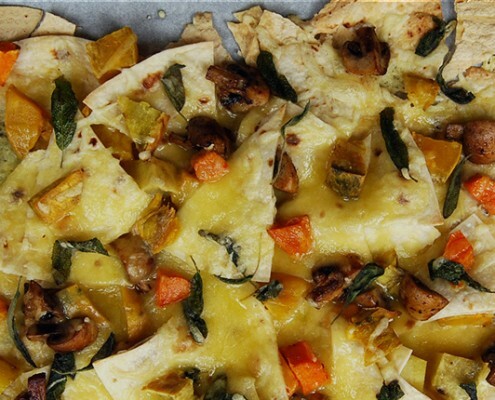 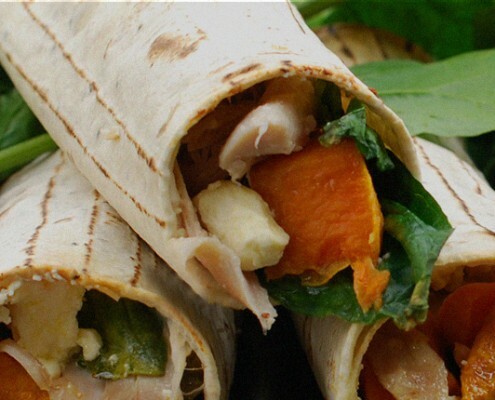 Make as a light dinner or snack or prepare ahead to take for lunch or a picnic. 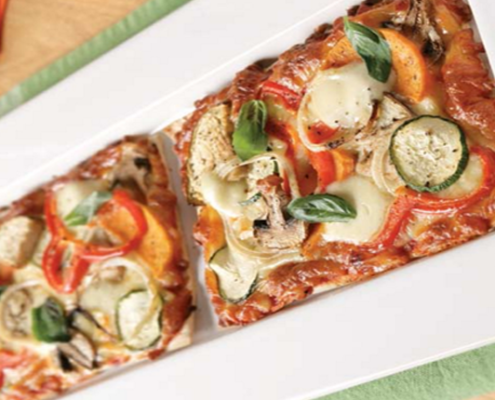 For a low calorie pizza piled with tasty vegetables: Combine eggplant, zucchini, kumara and capsicum on Mountain Bread, top with fresh basil - easy! 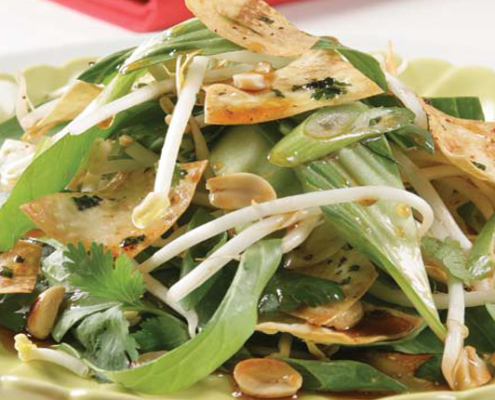 Toasted Mountain Bread and peanuts give the perfect crunch and flavour to this very tasty and healthy salad made with bok choy, coriander and garlic. 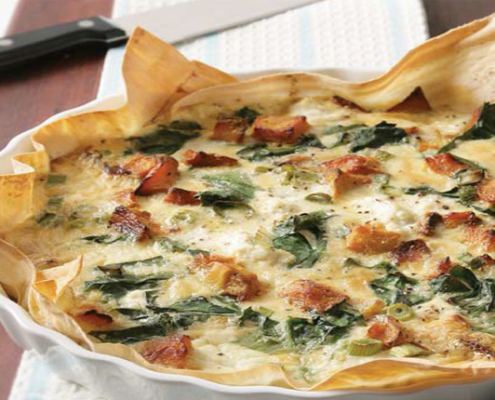 Low calorie and vegetarian, this easy tart uses pumpkin, spinach and ricotta on a Mountain Bread base - a great idea for a healthy, light lunch. 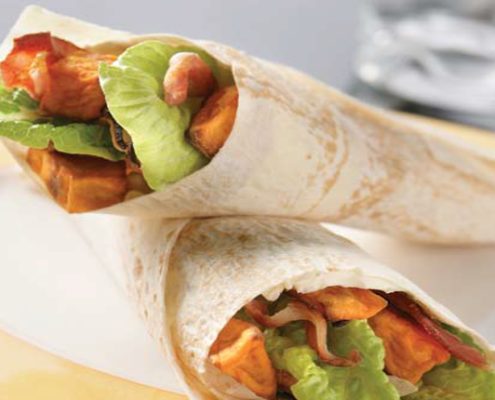 Roast kumara sweetens salty pancetta to make these yummy, healthy wraps made with Mountain Bread spread thickly with cream cheese. 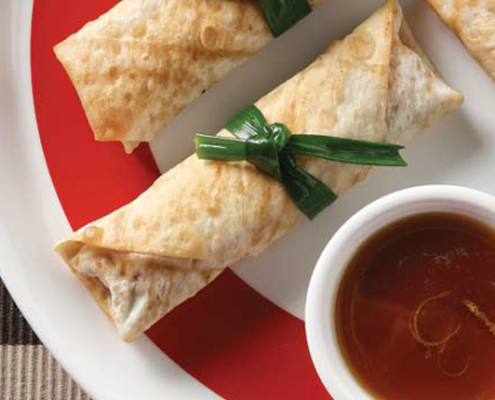 Easy on the eye and easy to make, these lemon chicken rolls come with a tasty dipping sauce and are perfect as a shared snack, lunch or starter. 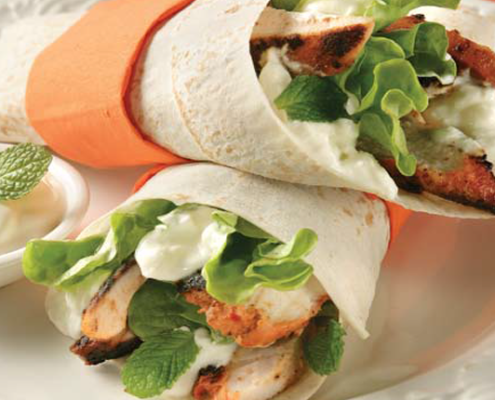 These yoghurt curry chicken wraps made Mountain Bread are great for a healthy, light lunch. 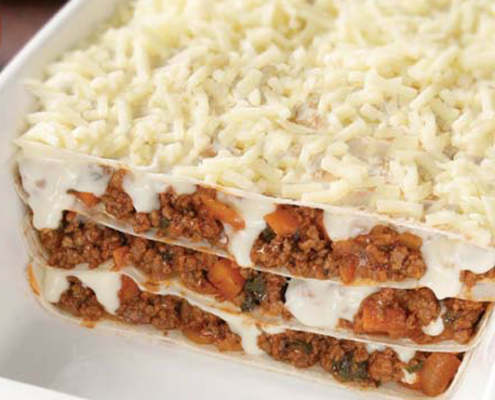 Mountain Bread substitutes pasta in this yummy lasagne recipe infused with garlic, oregano and basil - quick, easy and nourishing.